Tomorrow, April 1, is the premiere of the second season of Game of Thrones. I am a fan. In Season 1, there were gory and racy scenes that I was not used to but I survived them. I know that there will be more of those horrible scenes this season yet I am looking forward to the watching the series. 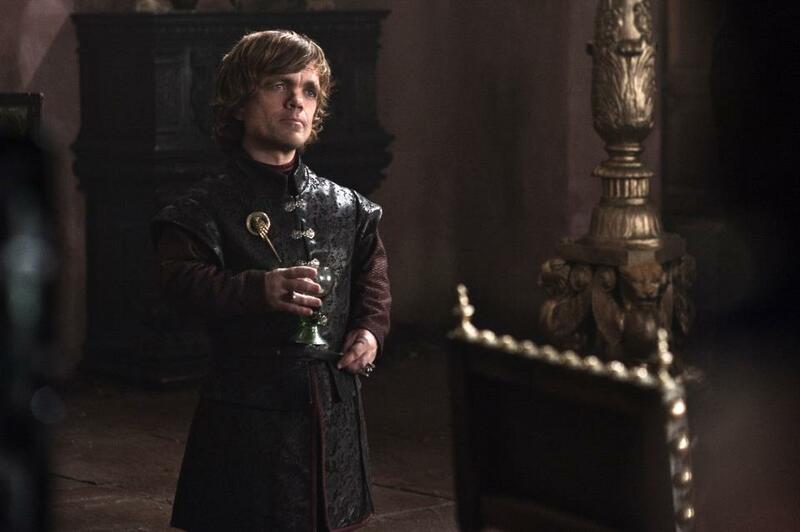 One of the characters I love in the show (and in the book) is Tyrion Lannister played by Peter Dinklage. When he won the Golden Globes as the outstanding drama actor in a drama series, I decided to look for his other films and I found “The Station Agent”. While I was watching it, my aunt came up to me and asked what I was watching. I told her that I am watching a movie of Peter Dinklage, Tyrion in Game of Thrones. My aunt watched the movie with me. She was able to watch the last episode of Game of Thrones. She said, “He has a nice voice.” I think that what made him effective as Tyrion Lannister. Well, he fits the physical description in the book but it takes more than the looks to play a character. He played the sharp Tyrion Lannister so well that he now has legions of fans. I still have not finished reading the books. Fast forward to October 2011, we were booked on a trip to Manila for a cousin’s wedding. 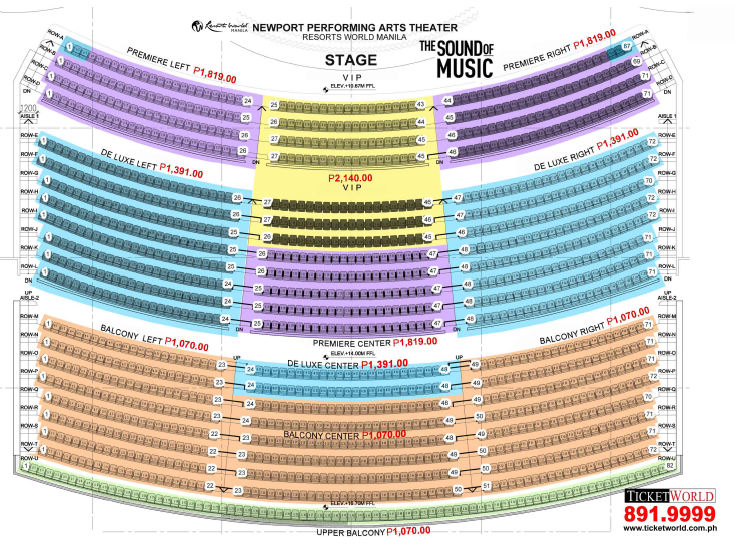 A week before we left, my cousin asked us if we wanted to watch ‘The Sound of Music’ at the Resorts World. Without hesitation, I said yes. There were 10 of us flying to Manila so there would be 9 more who needed convincing. One aunt even exclaimed, ” Php 1000 for an old movie? Is that on 3D?” Uhm. It’s not 3-D, Tita. It is live! Actors singing with their own voices. No lip-synching. Once the 20% senior citizen discount was mentioned, my aunts were convinced! Haha! Resorts World is gorgeous. We had dinner with my aunt’s friends before the musical started and the restaurant where we ate was near an open area that reminds me of The Venetian in Macau. Because we had a dinner date with my aunt’s friends, we were in the Resorts World ahead of the rest of our theater companions. We were loitering at the lobby of the Performing Arts Theater. The lobby was carpeted and had the feeling of richness. Music from the musical was playing in the background. The anticipation was killing us. Our tickets were with our companions. When they arrived, we hurriedly looked for our seats. Ticket prices ranged from Php 1000 to Php 2000. Even if we had the Php 1000 ticket, we had good seats. From our vantage point, we could see the stage clearly. Besides, there was a video wall where we could take a closer look at the facial expressions. Actually, there were no bad seats in the theater. We were seated at balcony right. This was my first time to watch a stage performance since college. The last play I watched was in UP’s Wilfredo Ma. Guerrero Theater. I cannot remember the title of the play. It was a requirement in one of my courses and tickets only cost Php 60 then. I am a musical theater fan because I am huge fan of Lea Salonga but my musical theater experience is confined to YouTube videos and cast recordings. I do not claim to be a critic so forgive me for my attempt at writing a review. The musical had slight differences from the movie version. In the movie, Maria sang ‘My Favorite Things’ when all the children gathered in her room during a thunderstorm. In the musical, she sang the song with Mother Abbess before she left the convent. In the musical, ‘The Lonely Goathered’ was sung in place of the ‘My Favorite Things’. In the movie, Christopher Plummer sang ‘Edelweiss’ solo with a guitar in the house. In this musical, it was sung during the singing contest. A large video wall served as a backdrop. One could see Maria running with rolling hills behind her. Thanks to technology the theater experience is a lot more wonderful. I wonder how Repertory Philippines staged the musical before this technology happened. 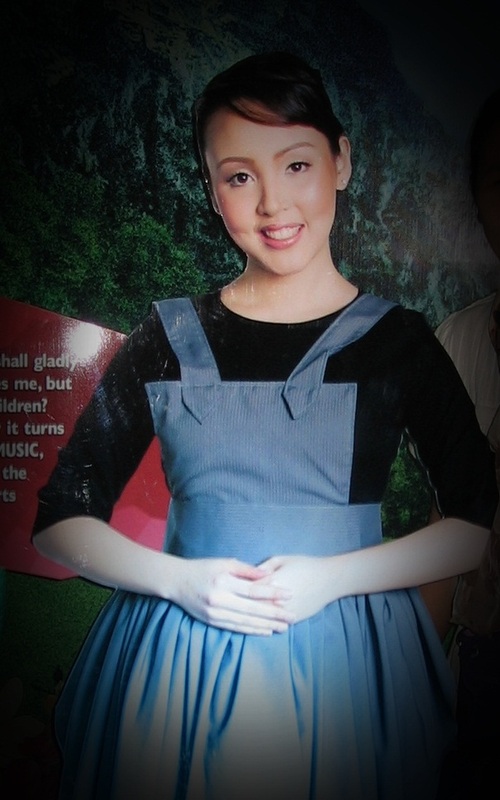 I had some apprehensions with Cris Villonco as Maria because I always pictured her that little girl who sang the APEC song in the 90’s. As luck would have it, I got Cris Villonco as Maria. The moment she stepped on stage and sung the first note, I was hers. She has grown up and I feel old. HA! Because she was not visible on TV scene, I forgot she was already a grown woman. I was amazed at the quality of her vocals and the poise she had on stage. She may play the spunky Maria but her grace as a performer shows. I LOVE her. The other person I recognized in the cast was Pinky Amador. She was effective as the baroness. I had to google who played Capt. Von Trapp and I found that he was Jon Joven. His vocals were great but I think he looked too young to sire a 16-year-old. Even with grey hair, his lanky frame and boyish charms still showed. Acting-wise, he was able to match Cris’ performance so all is well. Congratulations to cast! I feel proud to be watching my fellow Filipinos perform on stage. Our group of 11 had a great time. It was one memorable night! We exited the theater and spent some time taking our pictures with the standees as our ‘souvenir’ and proof that we watched the musical. Cousins were waiting for us outside to fetch us. Another cousin bought shoes she would wear to the wedding so we waited a little. Another cousin led us the way to the waiting area where the driver would pick us up. Since we were with chatty senior citizens, we were few steps ahead of them. The entryway was quite crowded so my cousin and I walked farther to the uncrowded area. Lo and behold, we spotted Cris Villonco sans make-up and costume waiting for her driver. The crowd was oblivious to her presence so we managed to chit-chat with her and tell her how wonderful she was. Well, my cousin did a lot of the talking because I was shaking. All I could say was “You were sooo good!” She was genuinely grateful. I was too thrilled to meet her that when we asked to pose with her, I could not seem to make my camera work. After several tries, we got some decent photographs with her. We thanked her for her time and went back to the spot where our aunts were already standing and waiting for our ride home. When Cris’ driver came, she passed by us as she entered the vehicle. She bade us goodbye when she saw us. How sweet! The aunts noticed and wondering how we knew the woman. “That was Cris!” My aunt replied, “Kris Aquino?” Hahaha. 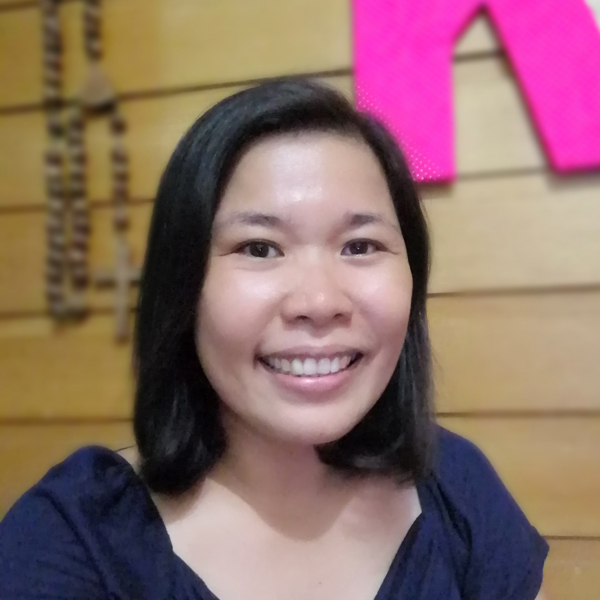 “Tita, Cris Villonco! Maria!” Lesson learned: Too much chit-chat= less awareness of your surroundings. By the way, I got tweets from Joanna Ampil. I did see Joanna Ampil perform. Sunday night that week, we watched a Leo Valdez concert on TV. (Incidentally, the concert was held at the same theater at the Resorts World.) She was a guest performer on that show. If you have not watched it, go and watch the musical. It is so worth it! Treat yourself to a wonderful musical featuring world-class Filipino talents. Learn from me: it does not matter who is performing, I guarantee you’ll have a good time.